When I was a kid the greatest game to have ever came out on the PS1 was Final Fantasy VII. It gave us the most iconic character in Final Fantasy lore, Cloud Strife. He is the character that so many characters would be based off of at some point. However, there was someone more important than Cloud in this game and this character was Aerith or Aeris Gainsborough. She was best known for being the playable character that actually died. 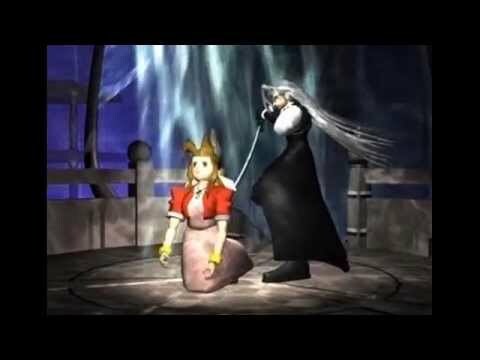 No phoenix down could save her as she was killed by Sephiroth while praying to summon the power of Holy from the White Materia. Why was she summoning Holy you may ask? Because Sephiroth used the Black Materia to cast the most destructive spell Meteor. A spell that destroys planets and Holy was the only power that could stop it. There are somethings in life that can only be fixed by prayer and fasting. In terms of Final Fantasy VII prayer was the only way to summon Holy to Save the planet. Aerith prayed to have her planet saved from a fate a tyrannical zealot who wanted the world destroyed and he could thrive from the ashes. Even though she died her prayer was answered and through Holy the destructive spell was mitigated. I don’t know what you are praying for and yes I am referencing a game but there is truth in what is being said. There are times where you can pray your heart until in bleeds and you may not see the fruition of your prayers. It may not even be answered in your lifetime depending on what you are praying for but there are somethings in life that can only be fixed by praying to God and having faith that your prayer will be answered. You may want your family to come to church or find unity. You maybe looking to touch the heart of someone that hurt you in someway or form. You may be looking for forgiveness for wrongs you may have committed from someone else. Leave it in God’s hands and his power will see you through. Heavenly Father, I thank you that I can always pray to you no matter the circumstance. I understand that in this life there are things that only prayer can fix. I will continue to pray without ceasing because I know you hear me. I may not see my prayer come to fruition out in the open but I know you are making a way. In Jesus name, Amen.